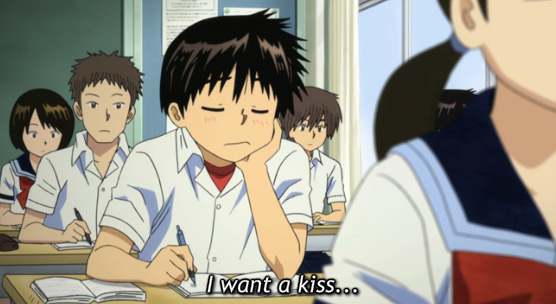 The high school genre is one I have professed indifference to in the past but I started Mysterious Girlfriend X because it was one of the few titles from the winter 2012 crop that interested me. 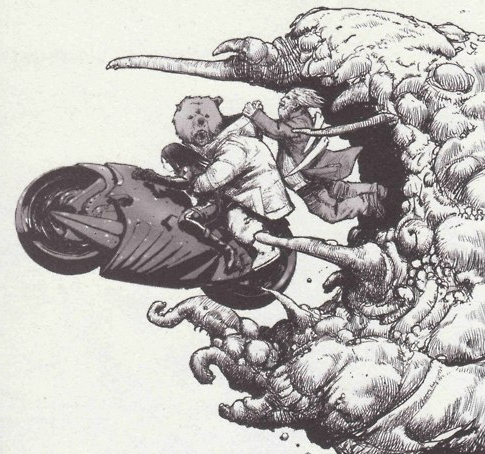 I was attracted by its short length, character design and art. 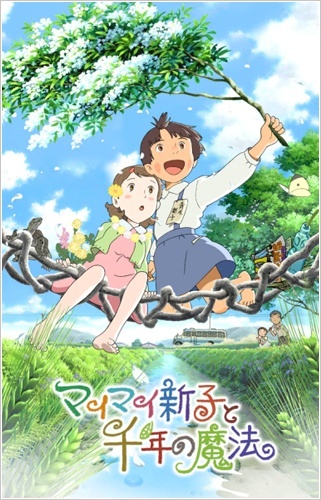 At only 13 episodes and easily available on Crunchyroll, I figured I would spend a short sojourn with a weird tale peopled with characters that reminded me of anime from the 90’s. The anime is based on Riichi Ueshiba’s manga and follows Akira Tsubaki who is your relatively normal high school kid (normal in anime terms). He has a burgeoning interest in girls. He manages to keep things contained until he meets a strange transfer student named Mikoto Urabe. She is genuinely strange since she likes to sleep during class breaks and carries scissors hidden in her underwear. 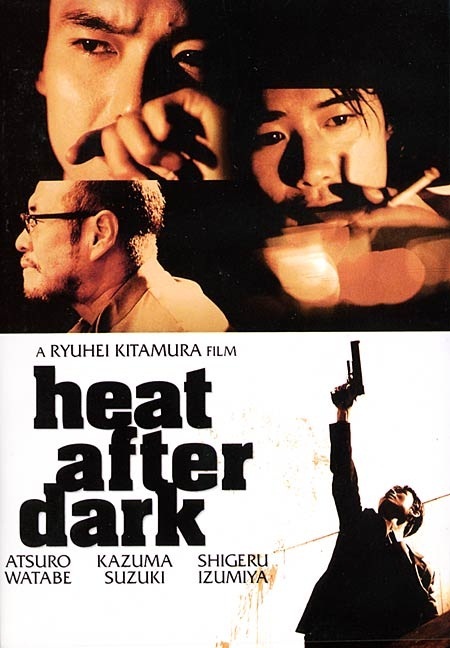 Heat After Dark was a random purchase I made alongside another Yakuza film, Onibi: The Fire Within. I had no idea what it was about, just that it starred Atsuro Watabe from Love Exposure and it was the theatrical debut of Ryuhei Kitamura, director of the cult favourite yakuza/zombie film Versus. 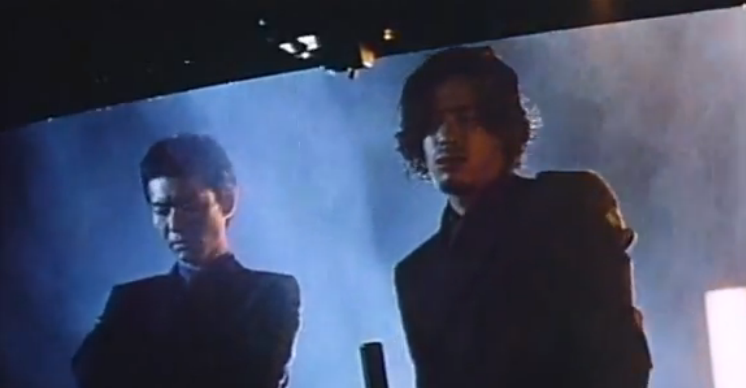 “He’s over there,” Goto replies thinly. Reiji turns and a body is revealed slumped against the bar. Goto had borrowed 20 billion yen from the dead man who is the leader of a Yakuza gang and Goto needs Reiji to help him dispose of the body and so they head to Yakeyama, a place about to be flooded because a dam is being built. However the tunnel to their destination is chained shut and a police officer is hovering around. Two young guys in suits with a flashy foreign car out in the middle of nowhere? That strikes him as highly suspicious. “Do you have something to hide?” he asks. Reiji is forced to open the trunk. But there is no body! Suddenly Goto charges down the tunnel and into an abandoned factory surrounded by verdant grasslands and streams. As they rush into the area a gunshot strikes Reiji on the crown of the head. There is another gangster (Izumiya) and it turns out he is selling guns to a gang and that the real reason for Goto being there is to kill this gangster who betrayed him before the deal goes down! Did the end of 5 Centimeters Per Second leave you teary-eyed? Was The Place Promised in Our Early Days emotionally rough? Brace yourself for more sadness fuel as Makoto Shinkai is back! Anime production company CoMix Wave Films posted the first trailer for acclaimed director Makoto Shinkai’s newest film The Garden of Words (Kotonoha no Niwa) on Wednesday and fan reaction was quick (check out Anime UK News for an interview with Makoto Shinkai where he answsered one of my questions. We love his work over there!). “We met, for each of us to walk forward. Hmm… Another visually gorgeous film about loneliness then. The trailer is gorgeous and I like the music a lot. Even the theme song by Motohiro Hata (Kids on the Slope). The audio and visuals evokes a feeling of emotional intensity but maybe that’s trace memory in me from Shinkai’s other films… Who are the staff and seiyuu? Shinkai is famous for his mastery of telling melancholy stories of love and separation and has gained a lot of respect for creating a lot of his early titles almost single-handedly. This one is a little different. We know that it is directed and written by Makoto Shinkai over at CoMix Wave Films and he is aided by Kenichi Tsuchiya who takes charge of character design and animation direction. This looks to be Tsuchiya’s biggest role yet. Art designer Hiroshi Takiguchi is a little more experienced having worked on the background art one the excellent films Mai Mai Miracle and Sword of the Stranger. Kana Hanazawa takes the female lead as Yukino. She has appeared in a lot of titles I like including Bakemonogatari/Nisemonogatari (Nadeko Sengoku), Occult Academy (Kozue Naruse), Haganai (Kobato Hasegawa) and Psycho-Pass (Akane Tsunemori). The male lead is performed by Miyu Irino who voiced Shin in Shinkai’s last film Children Who Chase Lost Voices, Akira Tsubaki in Mysterious Girlfriend X (yes, I watched that and regretted wasting my time…) and he put in a good performance as Seigen Hayami in Un-Go. Anyway, the film gets its theatrical release on May 31st and it is getting a manga adaptation courtesy of Midori Motohashi in Kodansha’s Monthly Afternoon magazine starting in April. For a more in-depth look at the trailer, visit Otherwhere! What does the Japanese film box-office chart look like this week (Feb 16/17)? None of the Japanese films released last week break into the top ten. The new entries are western films – A Good Day to Die Hard, Zero Dark Thirty and Masquerade. Nothing too interesting. There are a lot of films released this week with a lot of documentaries and a lot concerned with the anniversary of the 3/11 Tohoku Earthquake and Tsunami. This film sounds a lot like Air Doll going by the synopsis alone. I am unfamiliar with the names involved and the trailer seems to give the whole game away. Be careful, some racy content is present. Rintaro (Ishizaki) works in a factory with does not have any real relationship with anyone except his blow-up doll Ikbuki. When he meets night cub hostess Rinko (Sakuragi) who looks like Ibuki, he falls in love with her. She is also a bit of a loner despite the public face she puts on. The two grow closer. 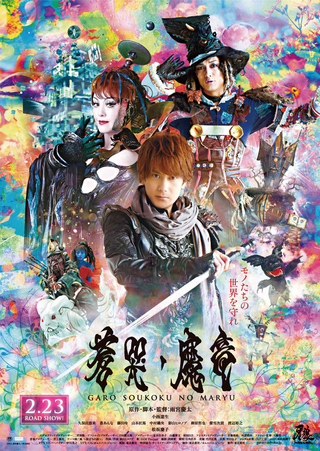 The Garo fantasy adventure television series gets its second film and it is a special effects family fun-filled which premiered at last year’s Tokyo International Film Festival where it got a good review from Screen Daily. Most of the actors are unfamiliar to me except Yukijiro Hotaru (Stacy: Attack of the School Girl Zombies, Cure, Mitsuko Delivers) but the film looks like a lot of fun with plenty of action and inventive looking creatures. Kouga Saezima (Konishi) travels to the land of promise to retrieve the Fang of Sorrow but when he gets there he loses his Garo sword, magic clothes and Mado ring which renders him useless. Not quite as he still save a girl named Meru (Aoi). Can she help him? 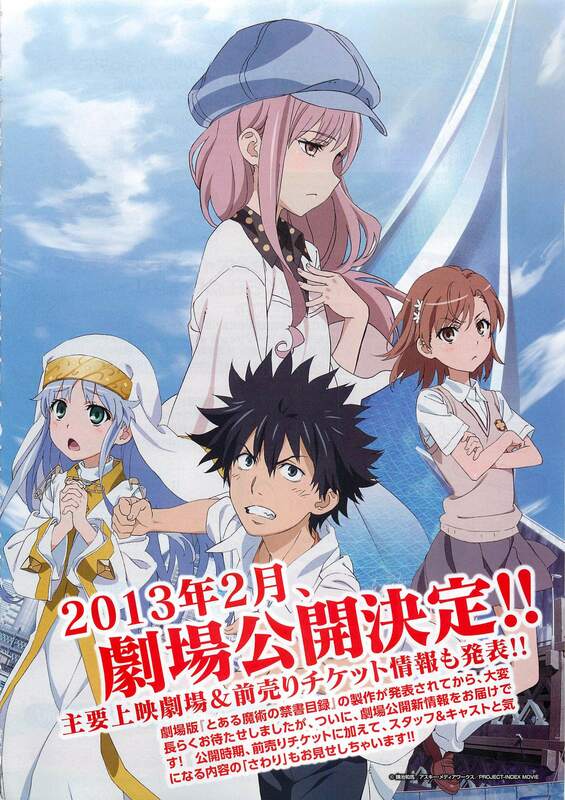 The first film entry in the The Toaru Majutsu no Index (A Certain Magical Index) franchise is released this year and it is going under the title Toaru Majutsu no Index: Endyumion no Kiseki (A Certain Magical Index: The Miracle of Endymion). The staff list is filled with Index franchise veterans. Leading the way is Hiroshi Nishikiori (Gad Guard, Azumanga Daioh) who is directing the film. The script has been written by Hiroyuki Yoshino (Macross Frontier, Accel World) and that is based on an original story from Kazuma Kamachi the creator of the franchise. Kiyotaka Haimura, the man behind the illustrations for the Toaru Majutsu no Index light novel is helping with original character designs while art direction is orchestrated by Tomonori Kuroda. All of this is taking place with J.C. Staff animating and studio Sanzigen handling the CG. Academy City is about to see the completion of the space elevator named Endymion. Around the time of completion Tōma Kamijō and Index encounter a Level 0 girl named Arisa Narumori who has a mysterious connection to Index. The three get along well but soon find themselves the targets of magicians lead by Stiyl Magnus who claims that Arisa is key to a brewing war between science and magic. A female leader named Shattoaura leads a unit from Academy City against the attack but Tōma Kamijō and Index still need to deal with the threat posed by Stiyl. 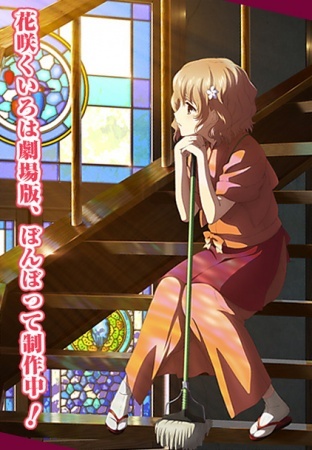 The movie sequel for Hanasaku Iroha – Blossoms for Tomorrow is set for a theatrical release at the end of next month. It is a slice of life anime which follows a girl named Ohana who has to lie with her grandmother in a hot springs after her single mother runs off with a boyfriend to skip out on a debt. Said grandmother is strict and requires Ohana to work hard and despite her initial dislike over her circumstances and all of the hard work Ohana begins to find life isn’t as bad as she thought. 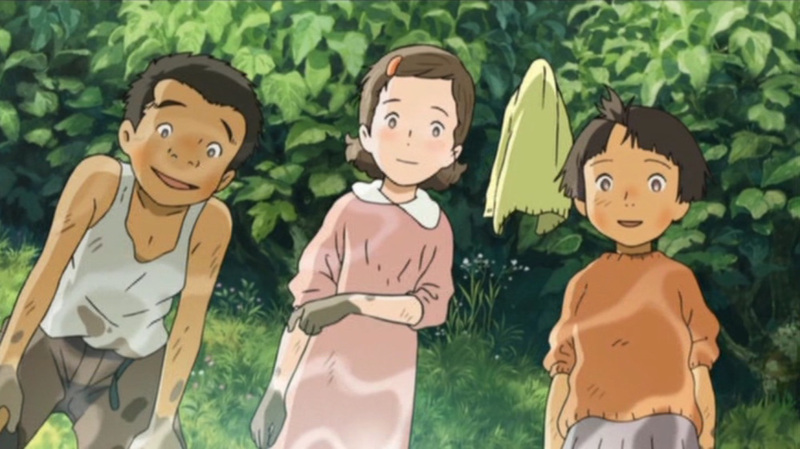 Ohana has grown accustomed to living in the hot springs inn her grandmother manages, Kissuisou. One day, the daughter of a manager for Kissuisou’s rival inn, Yuina, comes to Kissuisou for training to become a landlady herself. As Ohana is observing her training, she finds “a certain item” in the storeroom while cleaning. The anime movie sees the return of staff and cast from the TV series with Kanae Itō taking the lead role of Ohana and Aki Toyosaki voicing Nako. Kanae Itō has cropped up in a number of slice of life anime like Boku wa Tomodachi ga Sukunai where her vocals are put to good use portraying Senna and yelling insults. Kanae Itō’s real life friend Aki Toyosaki has voiced a dynamic bunch of characters such as Yui in K-ON!! 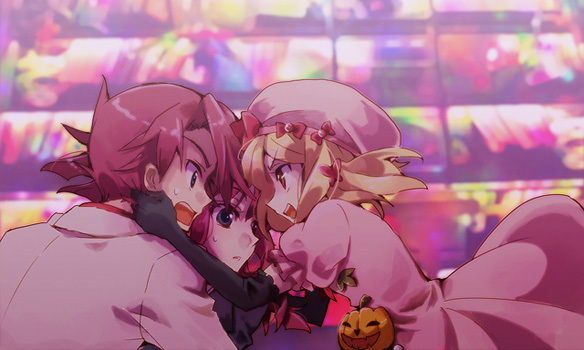 !, Inga in UN-GO and Momoka Oginome in Mawaru Penguindrum. Pretty awesome performances since I can still remember the dulcet and high pitched tones of each! It is directed by Masahiro Ando, a chap who has worked on some of my favourite anime like Jin-Roh, Patlabor 2, Ghost in the Shell in the key animation department and the man who directed Sword of the Stranger and CANAAN. He is working from a screenplay from Mari Okada who is one of the hardest working writers/head writers in anime. She has written scripts for things like Toradora!, Lupin III: The Woman Called Fujiko Mine, Red Garden and Aria the Natural. More importantly the two worked on the TV series for Hanasaku Iroha. P.A. 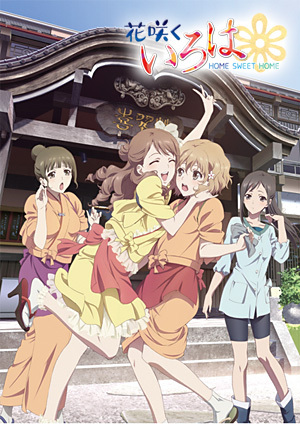 Works is animating and it is the studio which has worked on Hanasaku Iroha as well as another slice of life anime Tari Tari as well as my favourite supernatural anime of last year Another. When the film opens we catch things in media res, a funeral taking place, a family mourning. A narrator, an old woman, chimes in, “After a long illness my mother died when I was five.” We discover that she is the young girl in the opening scene, her name is Ito and she is the daughter of a samurai named Seibei Iguchi (Sanada). It is a time of famine and tumult. 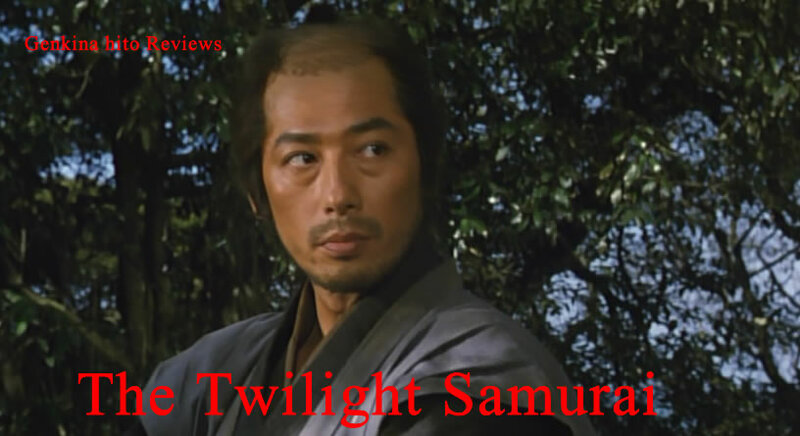 The end of the samurai era is in sight and we are nearing the beginning of the Meiji restoration. Not that this matters to Seibei as taking care of his sick wife, two daughters and a senile mother and then paying for an elaborate funeral for said wife has left him in debt. As a result he spends a lot of time wielding a hoe instead of a sword and constructs insect cages to sell. Whenever he finishes work in the castle store house and is asked to go for a drink by co-workers Iguchi turns the offer down as he has to hurry home to look after his family, earning him the nickname Twilight Seibei (Tasogare Seibei). Not that he minds as he has lost his taste for combat and values time spent with his family. A chance encounter with his good friend Michinojo Iinuma (Fukikoshi), who is back from a visit to Edo on clan matters, brings news that Seibei’s childhood love, Iinuma’s sister Tomoe (Miyazawa), is divorcing her husband Toyotaro (Osugi), a mean drunk who beats her. Tomoe pays Seibei a visit and it is clear that Tomoe harbours feelings for him just like he does for her. She is a natural with Seibei’s girls Ito and Kayano and brings life to his house. Tomoe’s ex Toyotaro finds it unacceptable that he is being divorced and feels humiliated so he threatens Tomoe. Seibei defends her honour and accepts a challenge to a duel with Toyotaro the next day. He easily beats his opponent and word of Seibei’s skills with the short-sword travels. It soon proves to be an asset for a faction in the clan who ask him to settle a matter of great importance. The task goes against Seibei’s new peaceful lifestyle and puts his role as a father at risk but he cannot duck his responsibility as a samurai and it may get him out of debt and even offer him a shot at winning Tomoe. Ah, another trailer for an anime film. Wait! This one is based on an original screenplay. This near-future romance is called Hal and it sounds like a cross between Time of Eve and the supernatural romance Ghost. I love the former but I have not seen the latter in a long time so I cannot comment. Anyway, this mixture of soul trading and androids is full of names that are new to me as far as the staff goes but I am very familiar with the cast. Yōko Hikasa takes the lead alongside Yoshimasa Hosoya. 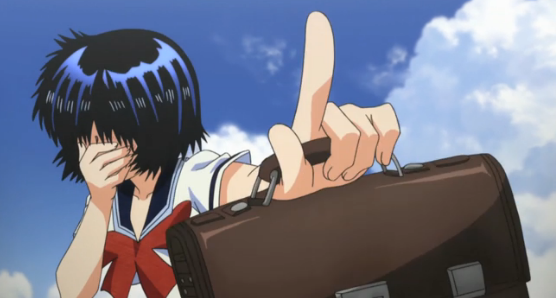 I have heard her voice Maya in Occult Academy and Gabriella in the recent TV comedy anime Cuticle Detective Inaba. I have heard Hosoya as Subaru Hidaka in Robotics;Notes. I like the sound of her voice! One look at the trailer made me think of Natsuyuki Rendezvous. Kurumi (Hikasa) likes Haru (Hosoya) and the two seem happy life ends when a plane accident takes Haru from the mortal world. 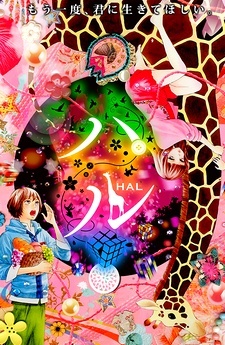 A robot version of Haru, Hal emerges as a substitute. As the two live together Kurumi gradually opens her memories and mind to him. 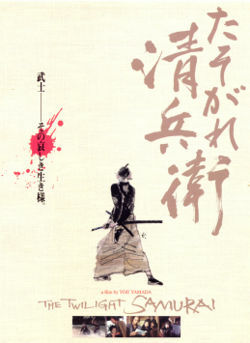 Ryōtarō Makihara makes his theatrical directorial debut. Hosoya has a lot of experience with TV anime like directing an episode of Tatami Galaxy and Monster, Summer Wars and Le Chevalier D’Eon. I like the titles I just listed but this is a different sort of title altogether but the trailer looks good. Music comes from Michiru Oshima (Fullmetal Alchemist, Fuse: A Gungirl’s Tale, Hana Yori Dango, Le Chevalier D’Eon) and character designs come from manga artist Io Sakisaka (Strobe Edge) and Katsuhiko Kitada (Guilty Crown) is chief animation director. The anime is produced by Wit Studio who are bringing a thrillingly dark title to television screens with Attack on Titan, a title with giants chomping down on people. They also worked on the cool anime Robotics;Notes. 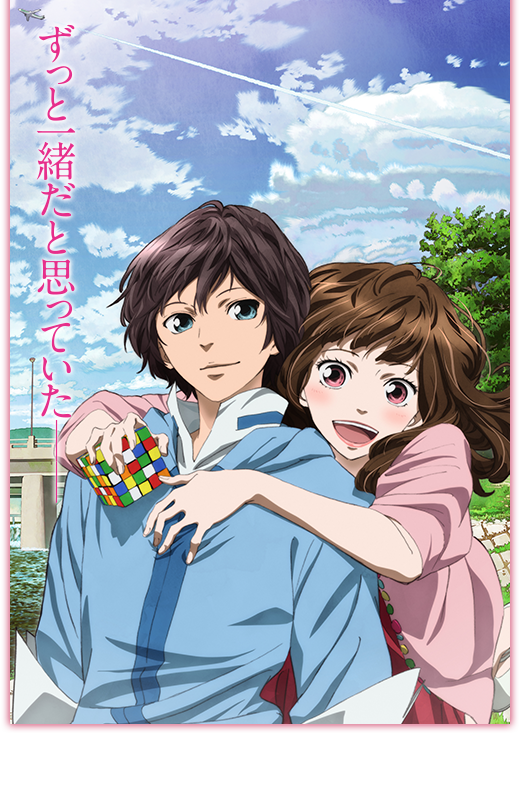 As well as this movie there will also be a manga running in Bessatsu Margaret in the spring. What does the Japanese film box-office chart look like this week (Feb 9th/10th)? What Japanese films are released this week? Kei Horie is a bit of a journeyman director and actor who has been involved in low-budget v-cinema shockers like Shibuya Kaidan 1 and 2 and The Suicide Manual (shocking because they are terribly dull). He has come a long way since then with great dramas added to his name such as Sentimental Yasuko and Tomorrow, both released last year. This is another drama although it is based on a real-life incident. It is packed full of love and suspense and diving! Yuko (Kawakita) works as a clerk in a prefectural swimming pool. She was once a high diver with a promising future but cannot do it anymore due to a traumatic incident that occurred in the past. She cannot even contemplate marrying her lover Satoshi (Makita) and so she decides to get counselling. 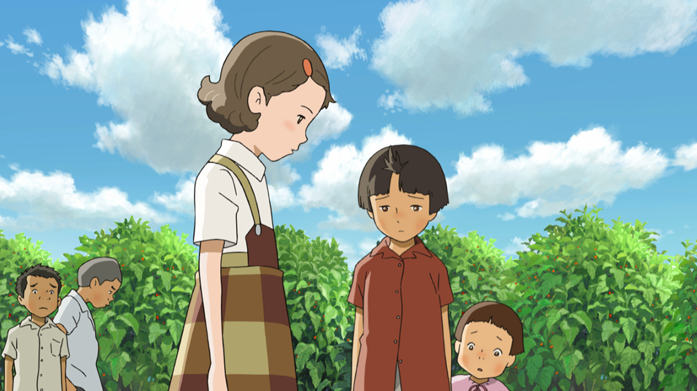 The film is based on Nobuko Takagi’s autobiography and is set in 1955, Hofu City, Yamaguchi Prefecture. One thousand years ago during the time of the Heian Period (794-1185) Hofu was the site of the ancient capital of the Province of Suo (Suo no Kuni) named Kokuga and ruins are still dotted around the rural city. 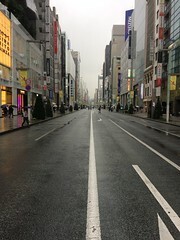 Shinko Aoki (Fukuda) is one of the modern-day inhabitants. Born in1946, she is a nine-year-old elementary school student and a bit of a tom-boy. She lives with her sister, parents and grandparents. Her grandfather was a teacher and taught her all about the local area and its history and so Shinko loves constantly wandering around the countryside and daydreaming about the past and wishes to travel back to the days of the Heian period. The only nuisance in her life is a curl of hair she can never make straight. She has named it Mai Mai and thinks it powers her imagination which is all well and good but trying to get it to stay in place is hard to do! Hofu city has a new arrival in a doctor named Shimazu from Tokyo who has taken a job in a factory. He is moving into a new housing development in the suburbs of the city and brings his daughter Kiiko Shimazu (Mizusawa) who is very withdrawn. When she appears in Shinko’s class as a transfer student Shinko is curious about her in a way her classmates are not. Indeed, the classmates rather cruelly ignore Kiiko but Shinko follows her home. After breaking the ice the two begin playing together and Shinko invites Kiiko to ‘time travel’ by the power of imagination and join her circle of friends. The two begin to form a deep friendship right around the time they learn about the story of a princess who moved to Kokuga. Her name was Nagiko and like Kiiko she came from a bigger city and was isolated and wanted friends but finds circumstances are difficult. The story of both Kiiko and Nagiko run almost parallel and the two learn a lot about real life and the power of imagination. The poster and animation feel a lot like a Ghibli film but it was animated by Madhouse who are known for brilliant psychological thrillers like Paranoia Agent, Perfect Blue and Monster. It was directed by Sunao Katabuchi, a man with an eclectic filmography including directing the explosive first season of Black Lagoon. Crucially he acted as assistant director of Kiki’s Delivery Service. 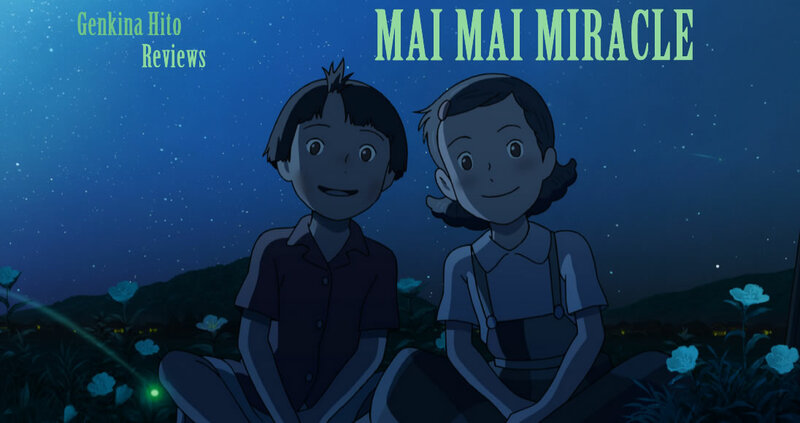 The latter title is a perfect comparison as Mai Mai Miracle hits all the magical realism notes that Ghibli are known for. It fits the magical (in this case, the power of imagination and small miracles) into the everyday. I had little idea what to expect but tagged it as Totoro in 1950’s Japan. The visuals and plot are similar: two extremely cute girls and the power of imagination in rural Japan. 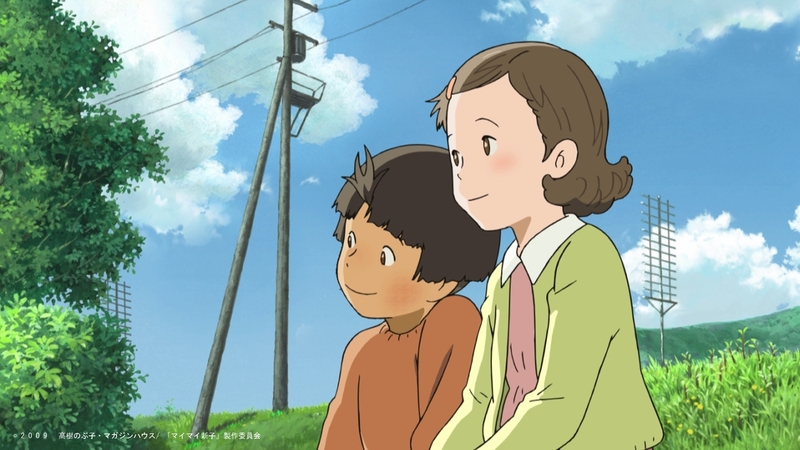 Such a reading was glib because unlike some of Ghibli’s stories which feel like dark fables with clear-cut endings (I am being extremely glib here), Mai Mai Miracle reflects the messy and uncaring nature of the universe and the unexpectedness of life much like The Wolf Children did. Indeed, while I detected a child-friendly message about using your imagination and persevering to overcome tough situations you may encounter in life and find a better future, the narrative is involved what with its magical fantasies and jumping back and forth in time and delivers situations with an unexpectedness that is real and very dark. My dismissiveness was washed away when I became absorbed in the simple yet effective way of delivering the story and the great animation. We get a kids eye view of life and the world. We only ever see and hear and things at the pace they do and we only uncover important things related to the plot like character motivation in moments like the kids getting into very serious scrapes or overhearing adults gossiping and it is sometimes a cruel shock as it is not glossed over. Like real life, Shinko, Kiiko and Nagiko find their concerns are just a selection amongst many and that life can be very different from what they expect. We see that even on summer days full of imagination and play death and dishonour can be found under the same sun. This is where things take a real dark turn as the world of adults intrudes on that of children and makes them question reality. Characters are forced to grow and it can be affecting to watch (and it was affecting!) because there is a feeling of verisimilitude and reality. You feel like life is being lived an even the most minor of characters gets something of an arc that feels real. I was surprised at the force of feeling (I had to wait in the cinema before leaving just to compose myself!) but I was sucked in. 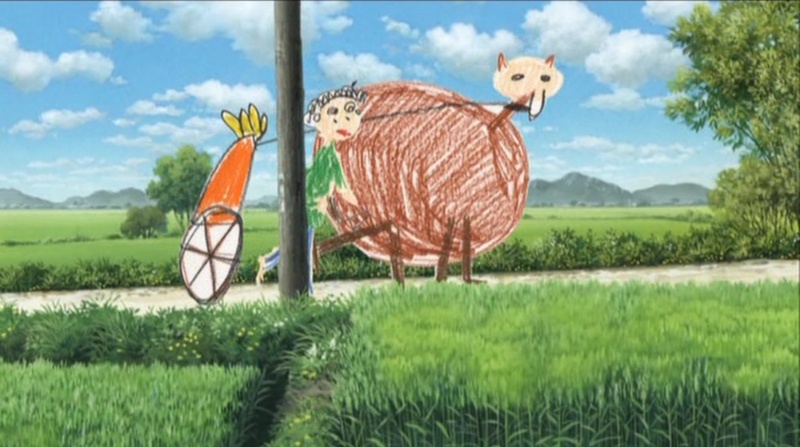 The animation was intoxicating in its detail and the camera work was assured. It is like total immersion as every scene and character design help to convey a sense of place as well as the tones of the story, situation and character. 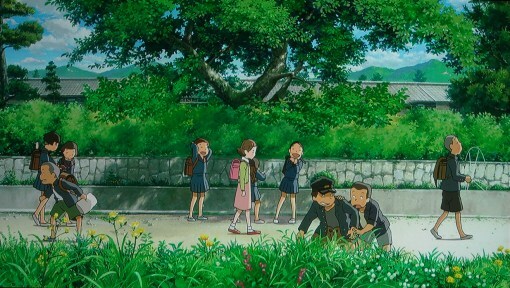 The film is animated with a high degree of detail and life. The audience are always aware of things on a global scale like the age we are in thanks to hindsight of over 50 years. It is post-World War 2, an age of growth after devastation so there are signs of renewal and reconstruction with new buildings being put up on idle land and cranes about town. It is an age of innocence, children play with mud, marbles and kewpie dolls and wander about everywhere in complete freedom and safety. Characters marvel over such modern wonders like gas-powered refrigerators and the mere idea of television. It evokes tones of nostalgia and transports us to a simpler age. The animation is more than just for setting as everything from colour, shading and character animation it also informs the audience of the character’s mental space. Shinko and Kiiko are totally different characters. Shinko lives in a colourful and vibrant world full of sunshine streaming from skies of infinite blue on fields of gorgeous green. We hear the sounds of lively shouting and nature. She likes lazing around in tall grass and dashing through wheat fields. Highly energetic, brave and a bit of a rebel, her demeanour is lively and she throws herself around the screen causing the camera to become ever more active in trying to chase her and keep her in frame. This life is reflected in her imagination which she uses to make houses and people of the period pop up in her everyday surroundings. A city develops around her, starting off as crayon drawing from a colouring book to almost accurate reconstructions straight from text books all the way to the real thing populated by people from the time. At first the contrast in animation is garish but it becomes a joyful evocation of inspiration. I personally loved Shinko all the more for it! 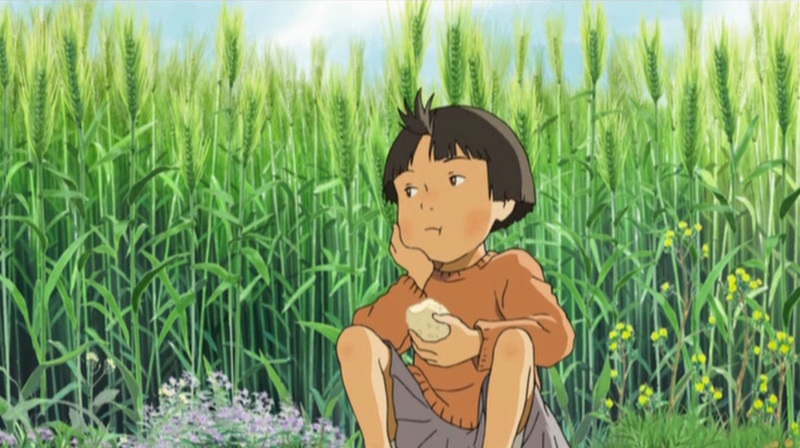 In complete contrast is Kiiko, a girl who is totally timid and withdrawn and marked by a degree of sadness in life which is reflected in her physicality and her surroundings. She is highly contained and walks at solemn pace, following people at a distance in silence, head down and closed off to the sights around her. Shinko loves wildlife while Kiiko is absolutely terrified of it and knows little of nature. Her home is a silent place wreathed in shadows and a pallid light there is a definite sense of coldness. The audience could be witnessing something submerged in the sea. She is extremely pale when compared to the tanned children who surround her in her new classroom and something of an outsider both physically and mentally. She does not don a school uniform and her clothes are subdued colours. 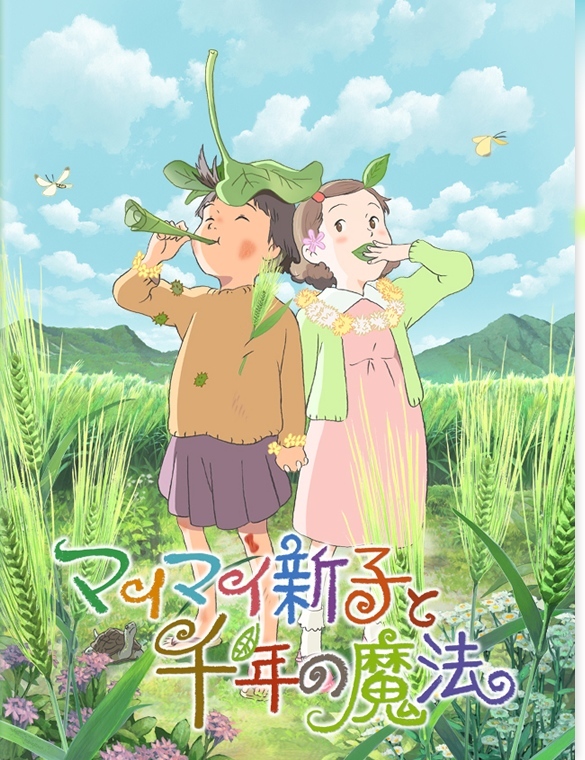 As the two become friends, Kiiko’s world becomes all the more and filled with the liveliness of Shinko and she discovers an inner-strength through imagination and friendship that gives her new life. This story is also played out through the tale of Princess Nagiko which runs adjacent. It is not merely a flight of fantasy and imagination but a reminded that things in life are timeless. 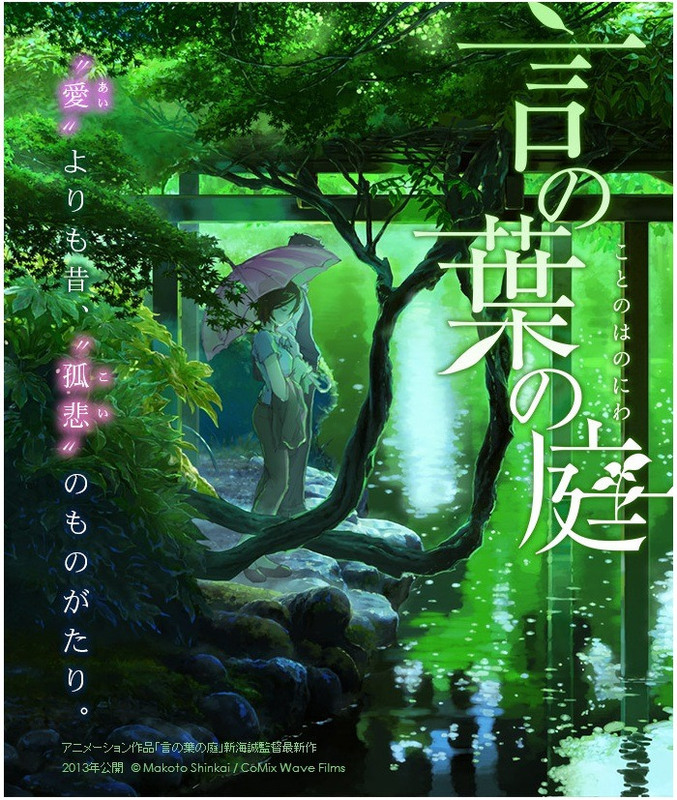 Even though there are a thousand years separating the girls they deal with similar problems, ones where a character is forced to confront the fact that life is not clear cut and there are many curved balls and no overarching narrative to set things right and they must find inner-strength and imagination to overcome their problems and take control of their future. It is not trite. It is thoroughly absorbing. The use of imagination and reality, playing on what the audience knows and what the children believe and shaping a narrative in which the growth of the characters is compelling and their world feels so vital and alive is done here to perfection. The changes in tone from light-hearted to serious are delivered matter of factly. Things happen just like in real life. Deal with it. This, like all the changes in tone and the switching between imagination and reality is handled with such confidence that I have to admire the film and I think that it carries a great message for kids and is also adult enough to entertain grown-ups. Indeed, this review turned out longer than I thought it would but it is just because I hold the film in high regard. With the chances of this being shown on the big screen in the UK again being slim, I am very happy to have watched it! ¹ It was sold out and there was an audience made up of children and adults. If the screening is considered successful, the Japan Foundation may programme more anime for future festivals. Judging by the positive reaction of the audience that is probably a dead certainty because I heard nothing but praise for the film. Consider this review another voice of praise! 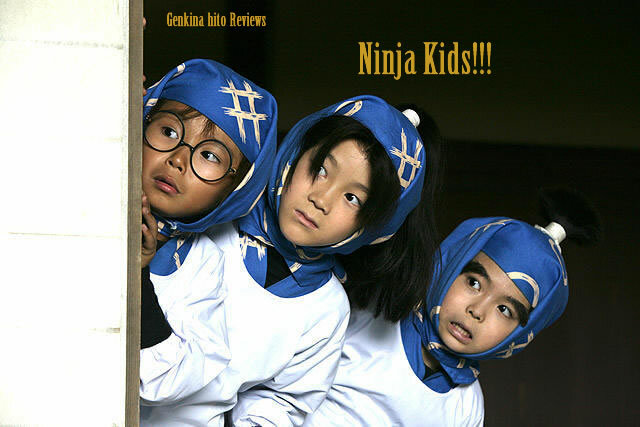 Ninja Kids!!! was the second film that I saw at the Japan Foundation’s Touring Film Festival 2013 and there was an audience made up equally of adults and kids. I felt everybody was engaged and laughed at all the comedic moments and even sniffed at the more emotional ones thanks to its good natured handling by director Takashi Miike. Ninja Kids takes place in 16th Century Japan during the Sengoku period. We first see Rantaro (Kato) at home with his parents in a farm house. He is from a low-class ninja family. Things will change because Rantaro, upon his father’s recommendation, is heading to the ninja academy to train to be an elite ninja and raise his family in terms of status. “I’ll do my best” he cries before setting off. The academy is somewhere deep in the mountains of the Kansai region. His journey is long and we see him running through blossoming cherry trees, a town and a forest and even in between a samurai battle but he eventually makes it to the academy which is a spectacular and colourful vision of fun packed with eager, fresh-faced children and CGI ninja shimmying up and down ropes and other obstacles that look like a lot of fun. And this is how most of the film continues. 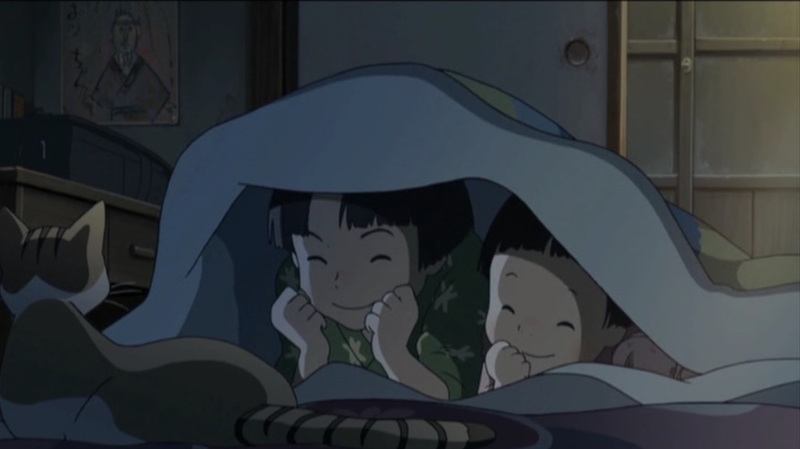 Rantaro makes a lot of friends like Shinbe (Kimura), the son of a wealthy merchant family who has a nose that constantly runs and a case of narcolepsy, and Kirimaru (Hayashi), an orphan who lost his parents in the war who now has a job babysitting to pay his way. Indeed we get to meet nearly all of the students as we see their training like throwing grenades, fighting, evasion and deception through disguise and all sorts of ninja gadgets but these kids will soon prove their worth when assassins from the Usetake clan target a fellow student named Takamura (Mizoguchi) who want to kill his father Yukitaka (Kaga) for leaving their clan to become a hair stylist. A hair stylist? Yes. What makes ninja kids a comedy is the sheer absurdity of the situations.